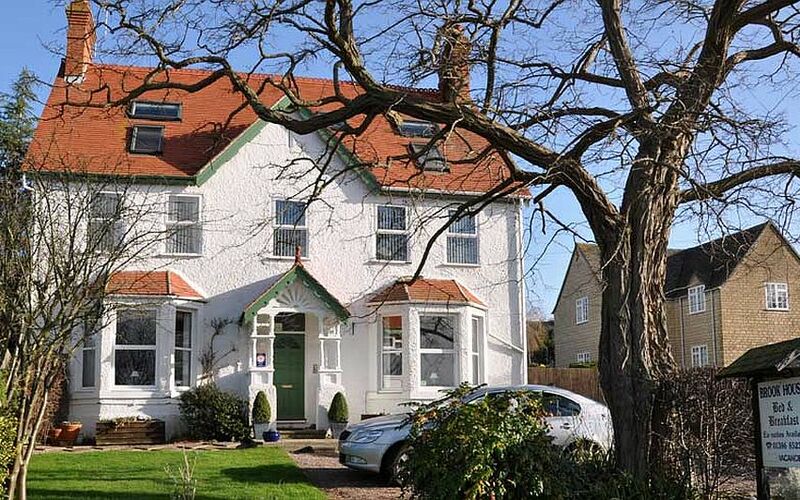 Brook House B&B, situated in the lovely Cotswold village of Broadway, offers Bed and Breakfast with the guest accommodation set out in a detached Victorian style house (1910) with large, tastefully decorated rooms. There are five bedrooms, three of them en suite. Each room has thermostatically controlled central heating, with a hospitality tray with tea, coffee and biscuits. All bedrooms have an LCD TV with freeview, two with DVDs built in. Hair dryers are also provided. A locally sourced full English breakfast is provided with a superb choice of menu. Vegetarians can also be catered for, or a continental breakfast offered if preferred. Brook House offers free Wifi and free parking throughout your stay and is situated just five minutes' walk from Broadway village centre.